The former nuclear submarine officer and U.S. Naval Academy instructor filed, running unopposed on a platform of supporting increased funding for education, increased teacher pay, expanding Medicaid, and working with local governments to improve transportation. A political career wasn’t on Adam Hattersley’s radar. Then in late 2017 Ross Spano – a Republican who had held the District 59 seat since 2012 – filed to run for Attorney General and later made a successful bid for Congress. 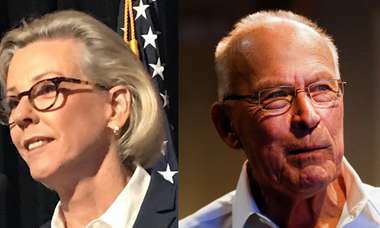 The move prompted Republicans Ronda Storms and Joe Wicker – who had the backing of the party – to launch campaigns to replace Spano. District 59 is considered a swing seat but the Democrats did not have a candidate – yet. Hattersley, owner of a Riverview-based business called C-Suite Promotions, said his phone “started to ring off the hook” after Storms’s announcement. The staunch conservative served six years in the state senate but first became a controversial political figure when she pushed for an ordinance that banned county support of gay pride events while serving as a Hillsborough County Commissioner. Storms’s past record of opposition to gay rights sparked a fire under Democrats and Hattersley, who’s gay brother-in-law adopted a baby with his husband. Storms lost the primary to Wicker, who Hattersley then defeated in November. Since his election, Hattersley has been busy. He’s filed five bills and co-sponsored 10 others, an impressive showing for a political newcomer. One of those bills, dubbed the “MeToo No More Act”, would eliminate the statue of limitations for certain sexual offenses. In a nod to his military service, Hattersley proposed House Bill 365 that would require the Florida Department of Children and Families to provide certain services to veterans and their families, including behavioral health care referral and care coordination services. The goal is to help veterans establish themselves after leaving the military, Hattersley said. “We just want to give them the best chance they can have,” he said. Hattersley’s bracing for the Legislature’s March 5 session start date but he’s still tying up loose ends at home, most notably preparing his Riverview district office and setting up an e-newsletter to keep constituents abreast of his moves in Tallahassee. The latter will soon come while the district office is scheduled to open at the end of the month, he said.